The internet has changed the ways people communicate and look for information, as well as the way they do business. The time when starting a business was a matter of money has long passed. Now, it’s a matter of ingenuity. Nowadays, one of the most effective and widely used methods of raising funds for business is crowdfunding. According to Statista, the total crowdfunding volume worldwide from 2012 to 2015 has skyrocketed from 2.7 to inconceivable 34.4 billion US dollars. If your project is original enough and relevant for a certain audience, you can get the money required to put it through. It’s a mutually rewarding cause: businesses get budgets, and customers get products they were promised. Real-life cases show that this scheme works for both parties pretty well. Any ways of effective crowdfunding? 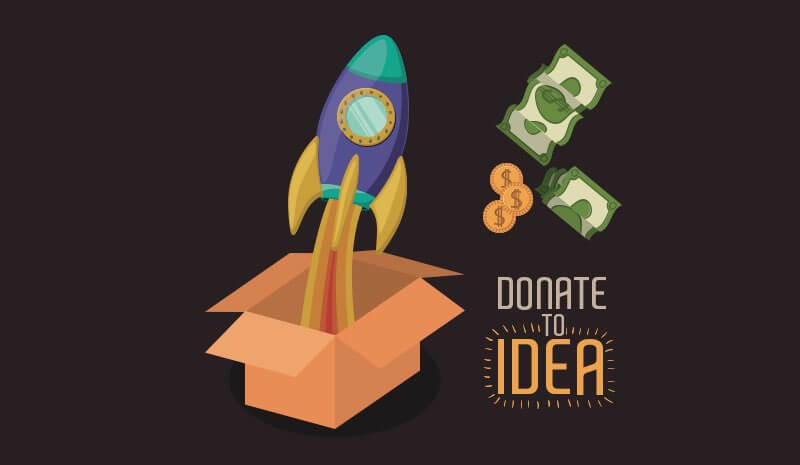 If you’ve got an idea for a crowdfunding project, approach it strategically. Crowdfunding platforms are not your only option. In fact, getting noticed on any of them is extremely difficult. However, if you have a Ning social network, kickstarting your idea can be much easier with a new Donations feature. This new tool lets you raise funds for any purpose you set, given your online community is interested and ready to support you. Crowdfunding with Ning Donations is effective as it allows you to address the audience you are acquainted with. Being a network creator, you bear an authority status among its members. So if your idea is relevant to your specific niche, why not leverage it to make your crowdfunding campaign more targeted and hence more fruitful? Just set up a Donate button on any page of your Ning network and provide an appealing description of your project to get people involved. To inspire you to try it out yourself, we have prepared some mind-blowing examples proving that a good business idea is enough to make a fortune. The video game industry has already become one of the most profitable and dynamically evolving businesses. The budgets of modern AAA games equal or even surpass those of the most expensive Hollywood movies. It’s not surprising that crowdfunding became one of the most common ways for game developers to secure a steady inflow of cash. However, a game known as Star Citizen has simply shattered all conceivable expectations, having accumulated a striking $173,721,880 as of December 2017. This amount was generated entirely by crowdfunding which made the game listed as a Guinness World Record. Not bad for a game which hasn’t even been released yet, huh? The developers promised gamers a huge universe to explore, interstellar travels, cutting-edge visuals, and lots of content, making fans excitedly anticipate the game’s release. But whether it will be worth THIS much money, only time will tell. Want a cheap smartwatch? Pitch in! Another impressive example of crowdfunding comes from the electronics industry. A company named Pebble Technology Corporation which developed the first commercially successful smartwatch, the Pebble Smartwatch, managed to collect $10.3 million in 2012, marking a new milestone in crowdfunding history. Pebble has basically two competitive advantages – a long battery life and low price. This alone made it a true hit on the market. Following the first successful crowdfunding campaign, Pebble launched another one in 2015 which turned out even more lucrative, raising $20,338,986. Nowadays, crowdfunding helps bring the craziest and weirdest ideas to reality. That’s why among the successfully crowdfunded products we find the ones like a rideable spider robot, mini shotgun for killing flies, turkey menorah, meat soap, combat kitchenware, etc. Turns out people are ready to spend money not only on things they really need, but also on creative, funny, and original ideas – a great opportunity for masterminds to make some cash! The examples of crowdfunding mentioned above are among the most remarkable and famous, but there are thousands more out there. If others manage to make millions with their extravagant ideas, why not try to raise some money collectively with your online community? You are not required to come up with a brand new product or service – you can just crowdfund a cause you and your network members find worthwhile, start a business together, cooperatively create something useful. Build your online community, know your audience, come up with fresh ideas, and make them real together with Ning! To activate the Donations feature on your network, please contact Ning customer support center.